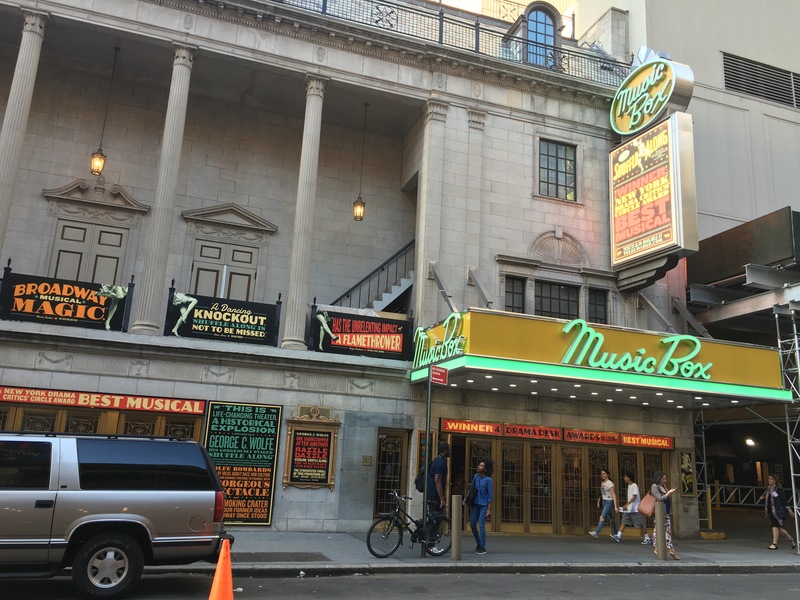 This summer’s quick jaunt to New York City was fabulous. 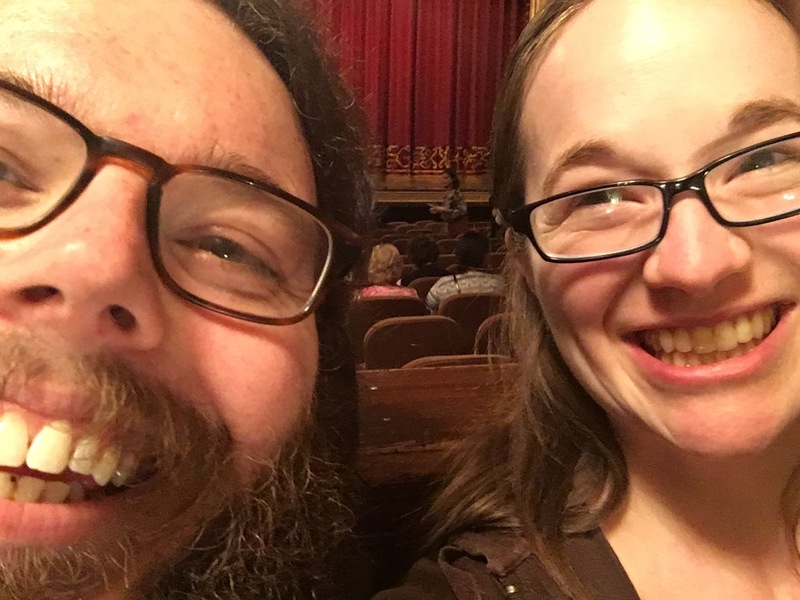 We fit in two shows and three ice cream places! (If you missed it, I reviewed Morgenstern’s last week.) 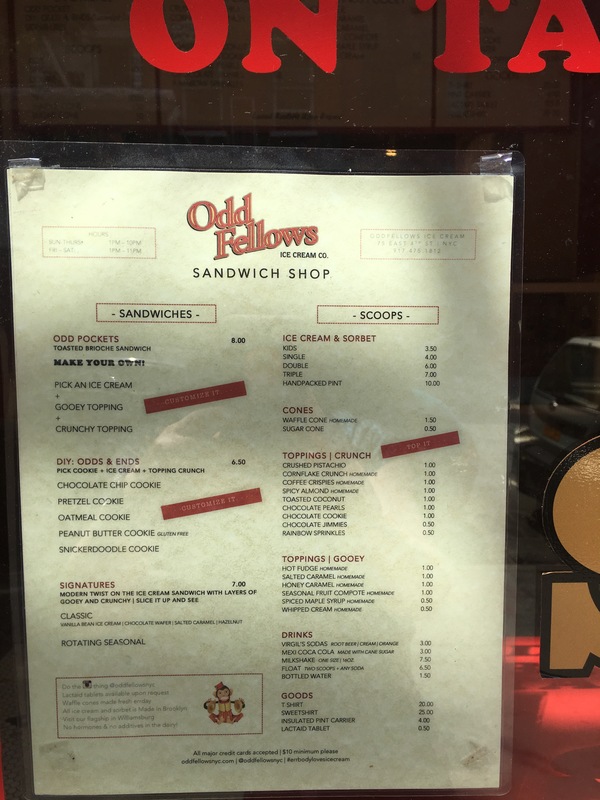 The second stop of our trip was Oddfellows, nestled near Playwrights Horizons and other off and off-off-Broadway theatres. 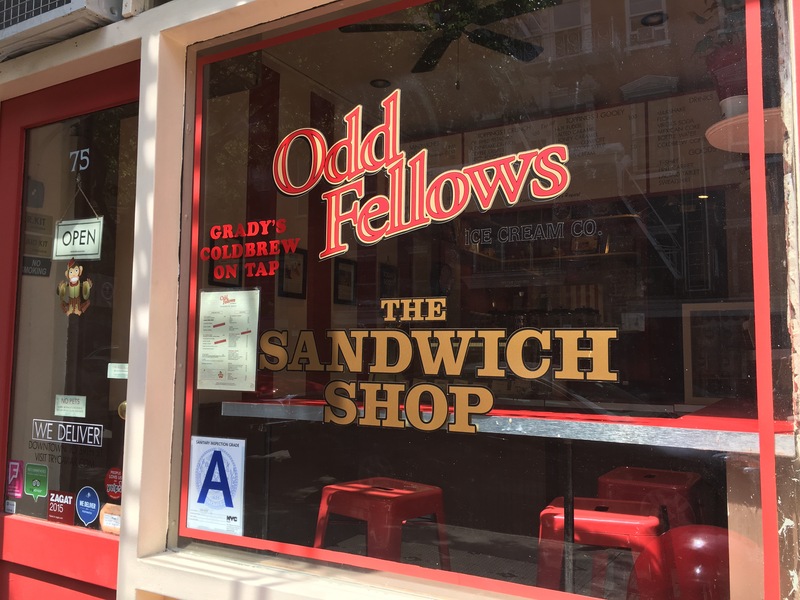 We knew from the moment we saw Odd Fellows that they were unique. 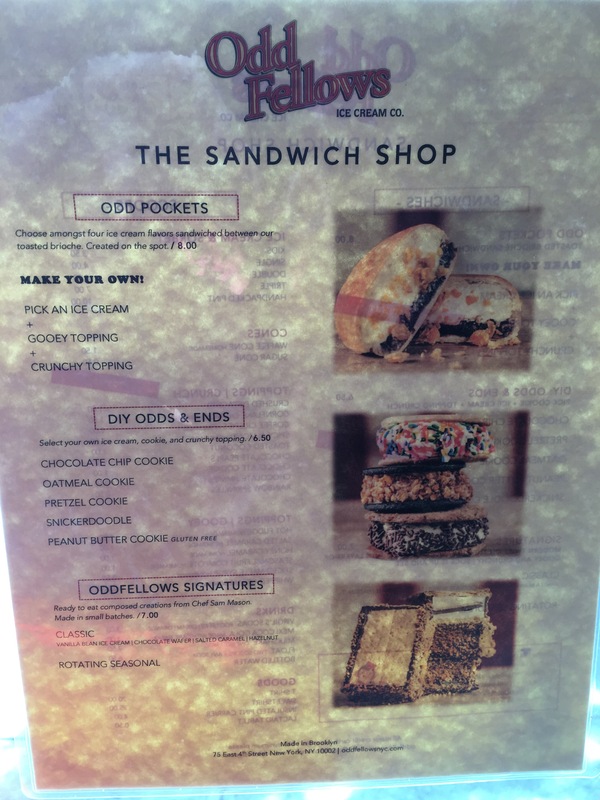 They’re famous for their ice cream sandwiches, but we were already pretty full from our first ice cream stop! So we settled on sticking to ice cream. Lime Tarragon – It’s a sorbet! Ross thought it tasted like Pickety Place, known for using their own herbs in their lunches (and also where we got married, incidentally). I loved this, it’s unreal! The tarragon wakes you up and takes this to the next level. It isn’t watery at all…much more than I expected from sorbet. Almost creamy. Green Matcha – Ross tried this but passed. 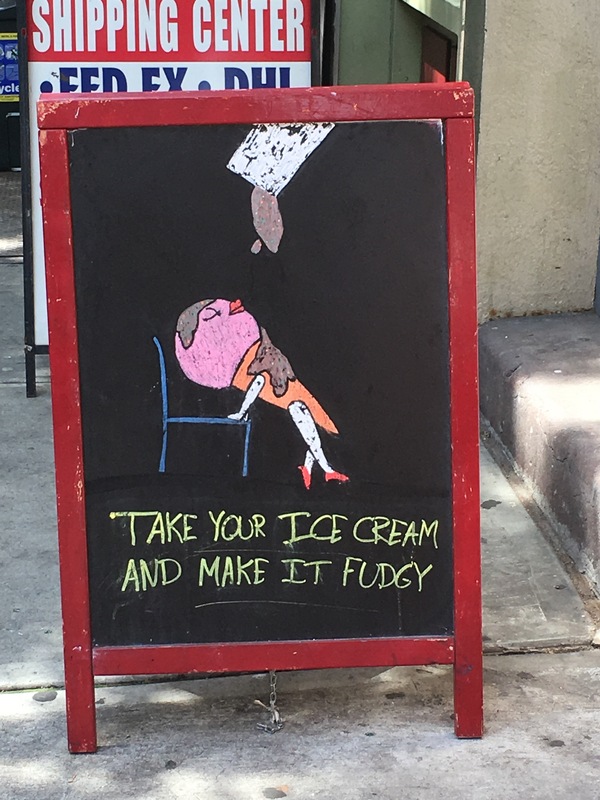 He said it just wasn’t the flavor he expected. 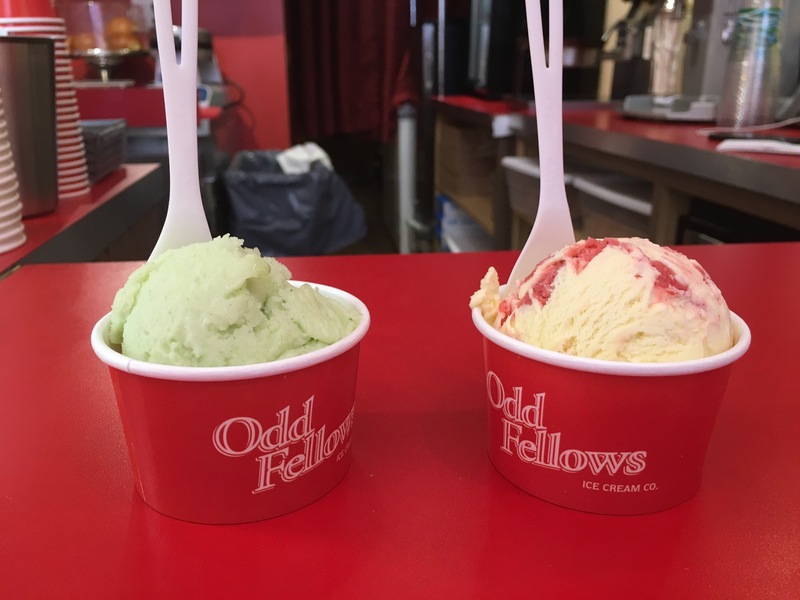 Olive Oil Strawberry – The strawberry is very real, almost more sorbet-like, and it’s woven with olive oil ice cream which is really complex and has a real aftertaste of olive oil. It wasn’t my favorite but it’s super interesting, rich and creamy. Ross described it as everything he is looking for in an ice cream! 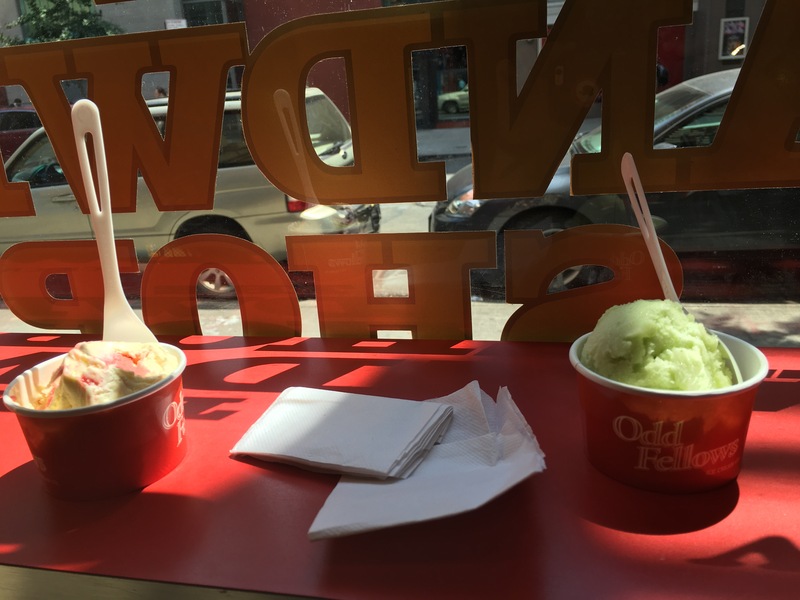 Our single scoops came to $4 each with tax, which seemed reasonable for New York City. They rotate flavors and keep eight in stock. 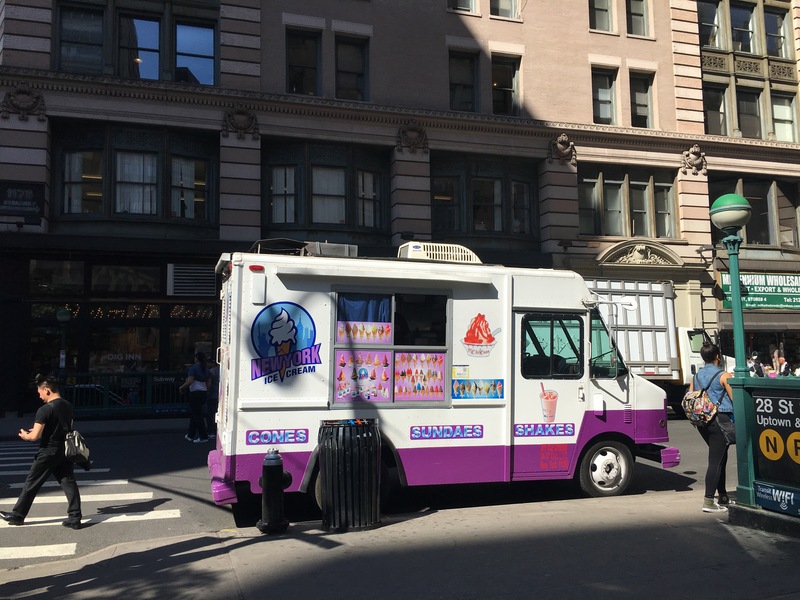 We were delighted to see ice cream and frozen yogurt trucks throughout our travels. If you have a favorite, let me know! 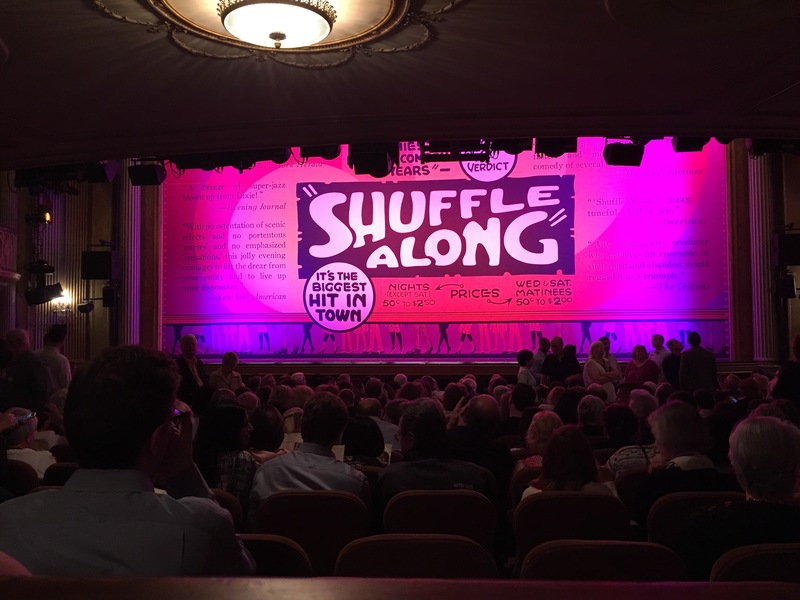 And finally, it’s not ice cream-related, but we saw the amazing show Shuffle Along while we were in town. 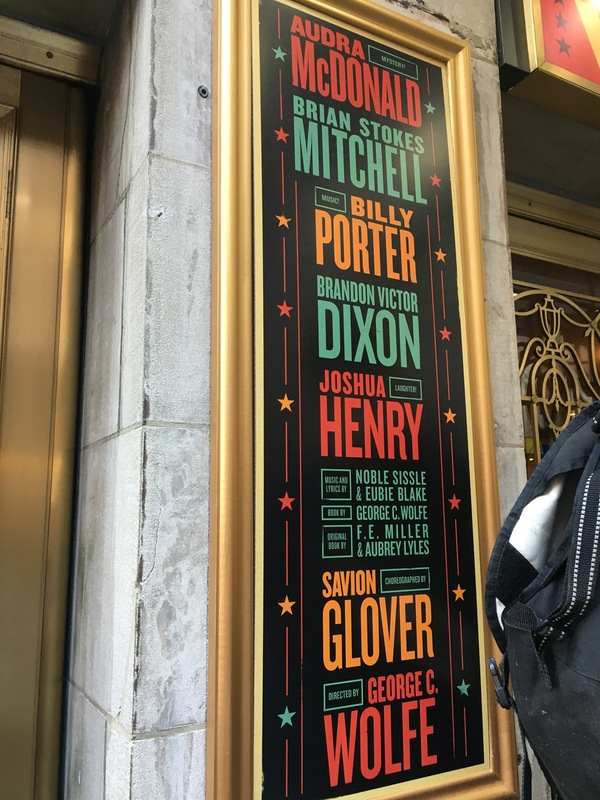 Phenomenal cast and production team, and an incredible story that brought back memories from my independent study in high school, where I wrote about the depiction of African-Americans in American musical theater. A few photos are below!